Real name: Nestor Alexander Haddaway, born 1966, Tobago, West Indies. 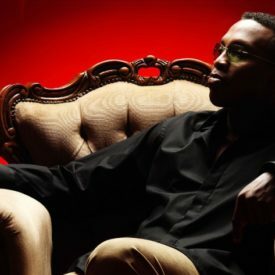 Techno pop artist, licensed to Arista Records from his German home at Coconut Records /Logic Records, Haddaway scored a huge crossover hit throughout Europe with What Is Love in 1993, followed by the equally strident Life . He presents himself as being patient, tolerant, and having a sense of logic. Nestor grew up in the USA. He was very shy and stuttered during his childhood. He was a fan of the Beatles, Police and Prince, he learned how to sing, dance, and to play the trumpet and guitar, before relocating to Cologne, Germany in 1987, to find employment as a singer and dancer. He has a college degree in marketing, his own business career (he is a stylist and choreograph), has his own fashion company (Energy) and until 1994 was completely self-managed. He formed a band, Elegato, with keyboard player Alex Trime, before embarking on solo work with the production duo of Dee Dee Halligan and Junior Turello in 1992. Halligan and Turello are also known as Tony Hendrik and Karin Hartmann respectively, and jointly head the Coconut record label. They had previously produced Bad Boys Blue, Chypnotic and the Hollies. Backed by the songwriting and production expertise of Trime, Halligan and Turello, What Is Love , originally written as a ballad, eventually reached no. 2 in the UK charts in April 1993, as well as no. 2 Israel, no. 11 in the US, no. 1 in Europe, and no. 1 at MTV Europe. Life also earned good chart position a few months later, ensuring Haddaway’s status as Europe’s most successful solo artist of 1993. It stayed no. 1 for 2 weeks in Israel, reached no. 6 in UK, no. 33 in the US, no.1 in Europe, and no. 1 at MTV Europe. Haddaway was elected male singer of the year in 1993 in Israel. His debut album featured the voices of Lisa Noya, Elkie Schlimbach and Rena R. Otta as background. It achieved gold status in France and reached no. 8 in the UK charts in November 1993. Haddaway himself, though often compared to the Eurodance fare of 2 Unlimited and Cappella, is a far more sophisticated proposition. In 1994 he again scored significant success with two further singles, I Miss You (a slow, which reached no. 7 in UK , and no. 3 MTV Europe) and Rock My Heart (which reached no. 8 in UK, no. 6 at MTV Europe) and began his first European tour. The second album, The Drive was then released in 1995. The first single to be released was Fly Away , it reached no. 20 UK, no. 12 MTV Europe. The follow-up, Fire failed to enter the top 40 in UK. Who Do You Love , released in 1998, was no. 26 in Israel. 1998: He released his third album Let’s Do It Now . 3 singles were taken from this album: What About Me , Who Do You Love and You’re Taking My Heart . 1999: A Best Of album was released. 2001: Haddaway is back with a brand new single entitled Deep and an album, My Face , containing 13 new track., Unfortunately, with a majority of ballads and too few danceable tracks. 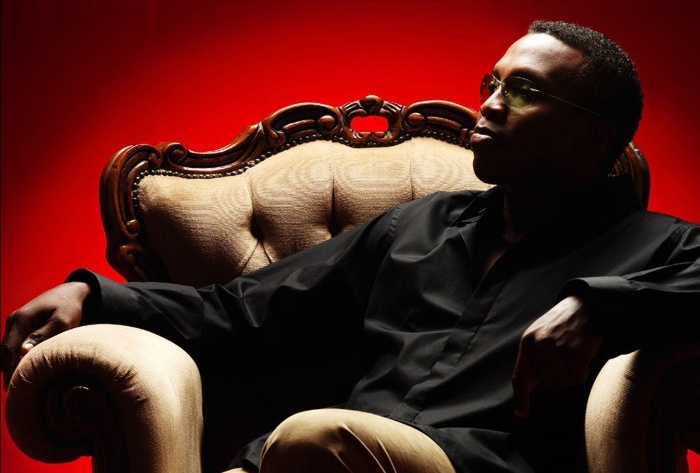 2003: Haddaway released his new single What Is Love Reloaded under the label Kontor. The vinyl included 3 mixes, a Reloaded mix, a Jens O. hard remix, and a What is club mix . A new album is planned , entitled Overdrive , it will include new version of What Is Love (Reloaded) . In 2005 the single Spaceman and the album Pop Splits followed. In total Haddaway sold more than 20 million cd’s.